Korean pop star Park Jae-sang, better known by his stage name Psy, released the incredibly popular song ‘Gangnam Style’ back in 2012. Despite being in Korean, the video became a worldwide sensation, and was especially popular on YouTube. Gangnam Style became the first YouTube video back in 2012 to cross 1 billion views, surpassing Justin Bieber’s ‘Baby’. 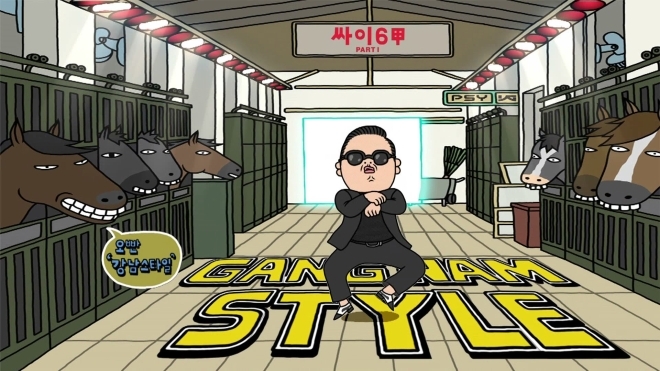 Now, after nearly two years, Gangnam Style has become the first video to cross 2 billion views on YouTube. In comparison, Baby has just over a billion views and remains the second most popular video on YouTube (and has more dislikes than likes). To celebrate this milestone, Google has put in a little Easter Egg on the YouTube page, If you click on the dancing Psy next to the number of views, well, you can find out what happens by going to the video page yourself.